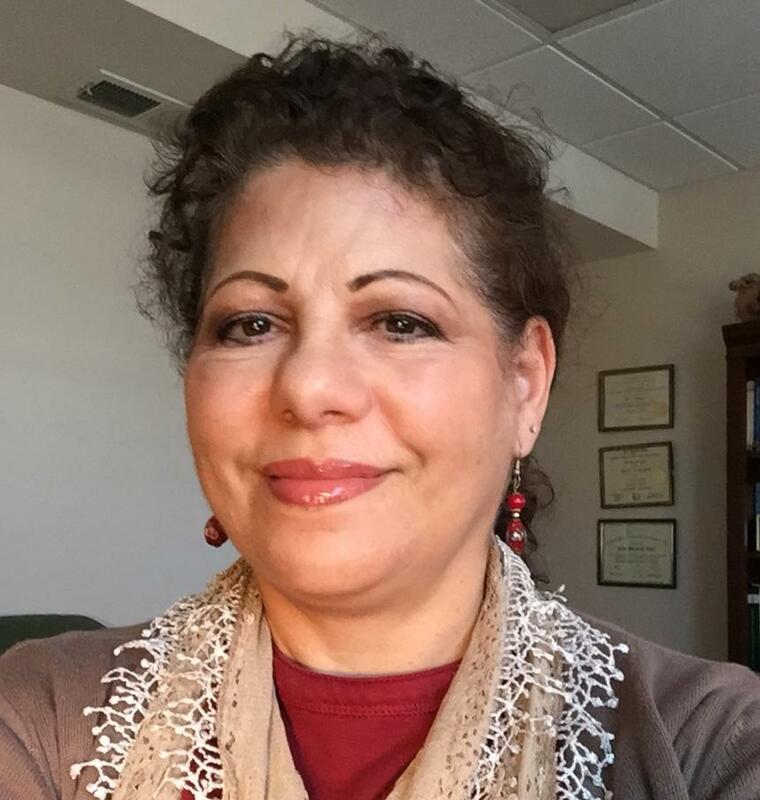 Ruth Altamura-Roll uses a holistic approach to counseling by treating your complete person, including your emotional, cognitive, relational, spiritual, and physical well-being. Whether you are struggling with addiction, in an unhealthy relationship, or suffer from anxiety, with the right counseling and support, you can regain balance in your life. You don’t have to face addiction, eating disorders, depression, or grief alone; I’m here to help. Reach out to me and schedule an appointment. Together, we can work through the root cause of your distress to find a brighter tomorrow. You can finally feel at ease with compassionate and empathetic counseling. With the right counseling and support, you can regain balance in your life. You don't have to face addiction, eating disorders, depression, or grief alone; I'm here to help. Get empathetic, compassionate, confidential, and safe holistic counsel from Ruth Altamura-Roll MA NCC LPC. I believe that mental health treatment will only be effective if we look at you, the whole person, and not just one aspect of your being. The overall health of your mind, body, and spirit will all play a part in your recovery process. Relationships sometimes are hard. Generally, there’s a lack of communication that can lead to anger and distrust. I will help you and your partner work on developing good communication skills to strengthen, build trust and improve your relationship. Family therapy can make a difference if your family is going through a tough time. Whether the cause is stress, grief, anger or anxiety. I help couples, children, or members of an extended family learn to communicate better and work through issues. A child’s teenage years can be the most confusing and stress filled times of their life. Their physical changes coupled with emotional and hormonal can impact any child negatively. From poor performance in school to conflict at home, I can help your child regain their mental health. For most people with addiction, detox and even rehab is not enough against urges and relapse. You don’t have to do this alone. I can help you kick the habit and get your life back. Depression and anxiety may be situational or biological. I can help determine the basis of your disorder. Together, you and I will work to find effective treatments for your anxiety or depression. Trauma doesn’t have to affect you forever; your PTSD is treatable. You and I will explore a variety of treatment options including cognitive behavioral therapies, existential theories, mindful meditation and imagery. OCD is a perplexing and painful anxiety disorder, but it can be controlled. If you suffer from OCD, I can help. Together, we will look at the root cause and underlying issues of your disorder and work through them. With over 33 years’ experience counseling both men and women suffering from eating disorders such as anorexia, bulimia and binge eating, I can help you recover from your eating disorder. Grief is often misunderstood and, moreover, painful. It is about incompatible feelings of loss and relief. Grief is not just about death; it’s about an end to and/or a change in a relationship or circumstance. As a licensed professional and holistic counselor, I will help you and your partner work on developing dependability, intimacy and good communication skills to build trust, strengthen and improve your relationship. My private practice offers SAFE and CONFIDENTIAL counseling services in a relaxed setting. I use a wide range of therapies such as client centered, cognitive behavioral, rational emotive, grief and loss recovery, Imago couples counseling, and the 12-step. I believe the Client/Counselor relationship is important to the counseling process. I treat the whole individual in a safe and supportive atmosphere. There is absolutely NO ONE who can help like Ruth Altamura-Roll in time of need for counseling sessions! Join me Wednesdays from 12 to 1 p.m. for Counselor Chat on Hunterdon Chamber Radio. During these weekly shows, I speak on topics of depression, anxiety, addiction, parenting skills, and beyond to provide support for the issues impacting your life. Download the app for a podcast and follow Counselors Chat on Facebook. The Masculine and Feminine – Why We Need Both! If you are struggling with depression, anxiety, addiction, grief, post-traumatic stress or relationship issues, you will have the opportunity to face your problems constructively and confidently with the help of my counseling service. Give me a call and see if, together, we can heal your pain.